Australian students, teachers and employees of educational institutions should listen up. 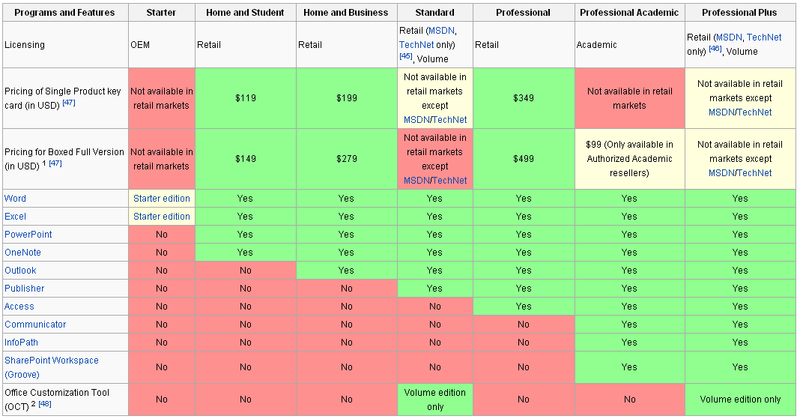 Microsoft is offering Windows 7 for only $50 and Microsoft Office Professional Academic for only $99! You will need to go to the Microsoft backed website Itsnotcheating.com.au to put in your student/staff email address (must be a .edu.au to qualify) and you will be able to order the programs for the special price. Some may wonder whether the version that is available for this price is a good enough version. 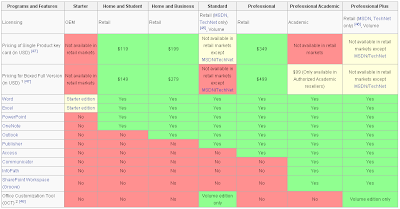 Below is a table of the different Microsoft Office versions available and how they are different. The one that is being offered on itsnotcheating.com.au is the Professional Academic one which looks like a pretty healthy option. Should you get the dvd? There is an extra charge of $14 for the backup dvd. Nothing stops you from downloading the program and sticking it on a blank dvd for backup so if you want to save $14 that's one way to do it. For Windows 7 you will need the following requirements in order for it to run on your computer.